The legendary singer was charged with incitement to hatred over comments made to Rolling Stone in a 2012 interview. A PARIS COURT has dismissed a case against singer Bob Dylan on charges of incitement to hatred filed after he was quoted allegedly comparing Croats to Nazis, his lawyer said. The legendary American musician was preliminarily charged with the offence in November after comments made to Rolling Stone magazine in a 2012 interview sparked a complaint from the Council of Croats in France (CRICCF). “If you got a slave master or Klan in your blood, blacks can sense that. That stuff lingers to this day. Just like Jews can sense Nazi blood and the Serbs can sense Croatian blood,” Dylan was quoted as saying in answer to a question about race relations in the United States. The judge ruled the 72-year-old musician had not given his consent for his comments to be published in the French-language edition of Rolling Stone, which was the basis of CRICCF’s complaint. But she ordered the director of the magazine’s French edition to stand trial over the charges. “I’m very happy the justice system understood that Bob Dylan never intended to hurt or defame anyone,” his lawyer Thierry Marembert told AFP. The charge against him carried a maximum sentence of one year in prison and a fine of up to 45,000 euros ($62,000), although in practice penalties are usually far smaller. The comment in the Rolling Stone interview had Dylan, a veteran supporter of the US civil rights movement, describing race relations in the United States as fraught. He was informed of the hate charges in November while he was in Paris for three concerts — a visit during which the French government also awarded him its prestigious Legion d’Honneur. Ethnic Croats and Serbs fought viciously in the 1991-1995 war that followed the breakup of Yugoslavia. Some 20,000 people died. Today, Croatians remain highly sensitive when mentioned in a Nazi-related context. Their previous stab at statehood came during World War II with the so-called Independent State of Croatia. The Nazi-allied Ustasha regime killed hundreds of thousands of Serbs, Jews, Roma and anti-fascist Croatians in their death camps. Since Croatia declared independence in 1991, some groups have attempted to rehabilitate aspects of the Ustasha regime. 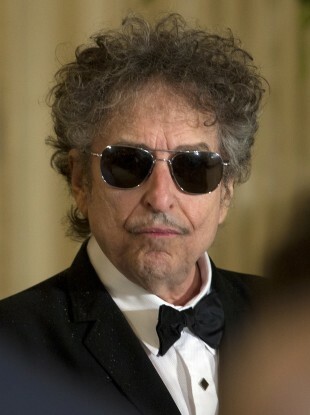 Email “Bob Dylan has escaped a jail term in France, after hate speech charges were thrown out”. Feedback on “Bob Dylan has escaped a jail term in France, after hate speech charges were thrown out”.